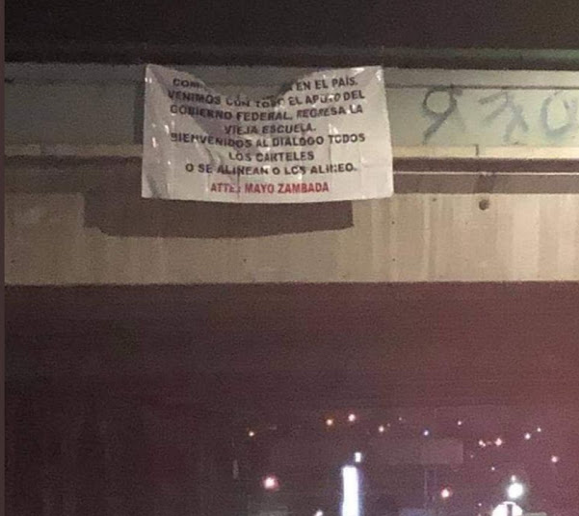 Last night two "narcomantas" were located on two bridges in different points of the city; the authorities so far have not issued information about it, however users of social networks managed to capture images of them. 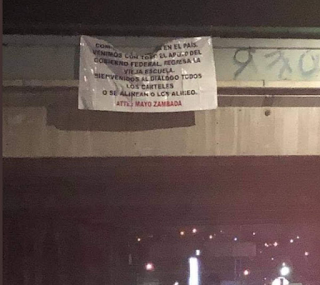 The first was before 23:00 hours on the vehicular bridge of the El Florido neighborhood, between the Boulevard Insurgentes and Boulevard El Refugio, where the message was allegedly signed by "El Mayo Zambada". 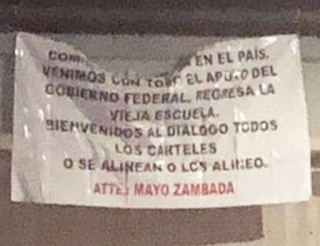 According to reports, the text made an invitation to dialogue with the cartels operating in the region, as well as support for the Federal Government to return "to the old school". 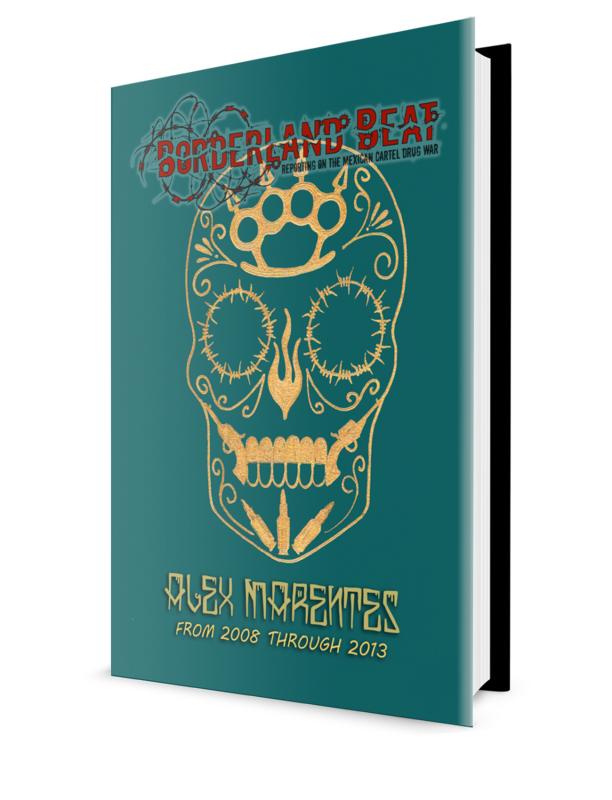 Later, on the Rapid West Way in the Urban Zone of the Tijuana River, another blanket with the same content was located; both printed with digital text, similar to those that have appeared in recent cases. Makes me wonder if Mayo is dead. Mantas make you think mayos dead? Ummm nice logic. Creating fear by means of propagandists. Rather, by those who will loose leverage in the DTO. 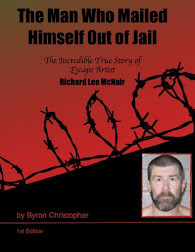 That's probably why Vincentillo spoke with his father during US custody. A last wish goodbye. 8:57 he might be.😕😕 he is very illusive. I kinda see your point, if other groups know mayo is dead they will have no respect for CDS. The return of the old school; reffernce to where fortunes remain to those who are given and no other. Not much of an offer to those who have been prevented from doing the same. Entitlement should not be assigned by greedy old farts. Rather, by those powers that justify the means. Violence has become increasingly popular among the unfairly sought. The word you are looking for is geographical. 11:00 Los Pajaros Nalgones de Los Sinaloas no andan en Michoacan ni en Jalisco. I assume the US is in accordance with this old school policy for Mexico? This systematic approach fits well with Americans interests and pocketbooks. 8:43am - well remember now that several publicly traded multinational US companies were generous enough to purchase oil for decades that was obviously stolen from the people of Mexico. No telling how many criminals our US based companies made into hundred millionaires if ot billionaires!. Think about it...the thief had no almost no product cost (or taxes obviously) selling anywhere from 20+ trucks of oil 7 days a week in Corpus Christi and Freeport. If they sold at 80% of market that was $14,700 per truck, $300,000 a day, and $2.1 million a week in 2008. Anyone around money here in Corpus knows this has gone on since the 1980s if not before and there are foreman that retired millionaires for saving their employers money over the decades...and I may do my next story on that. That could be very interesting and embarrassing for some prominent people and companies. I wonder who posted the first Manta. I wonder if Aquiles and Rana people put these up. CDS must be depleted and exhausted in TJ. Cuz front the last CTNG manta they were having it. Dialogue was off the table. 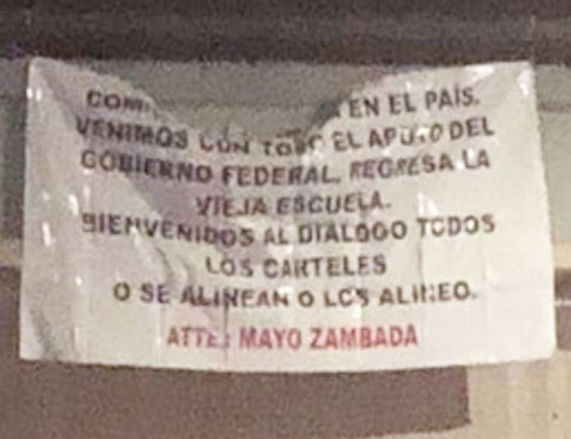 Tijuas ya tiene dueños. You need to seriously stop playing video games! now all the gossipy non socialista world has to do is get the support of the Lima Group War Criminals and declare Manlio "la Secre" Fabio Beltrones legitimate presidente to send the marines to liberate poor little old Mexico to the sharks. Nobody will make any long term plans with Mayo. The old man could die any day now. Theres no security in that. The vieja escuela will never come back. The game has evolved, every state/ governor has his own cartel. Alliances are an old way of thinking. Expect the violence to continue. Why should the privileged be rewarded and all else suffer. Those old school guards have their fortunes made. Added with their families inheriting. That's been the problem all along in Mexico. Greed. It's never enough. They may have the backing of government but not its people. A civil war has erupted among DTO'S. Pinche mencha getting desperate so now he decides to hang up fake banners signed supposebly by mayo..